Inspired by more than 20 years of attending Summer Session and looking for an adventure, Ann Dotterer headed out with her husband, Herb, to Hadrian’s Wall in England to complete a more than 80-mile hike on the Principia Lifelong Learning (PLL) trip led by Chuck Wilcoxen* (C’81), Principia College’s assistant athletic director and cross-country and track and field coach. They explored England’s majestic countryside, enjoying scenic vistas and quaint villages perched atop rugged English cliffs. 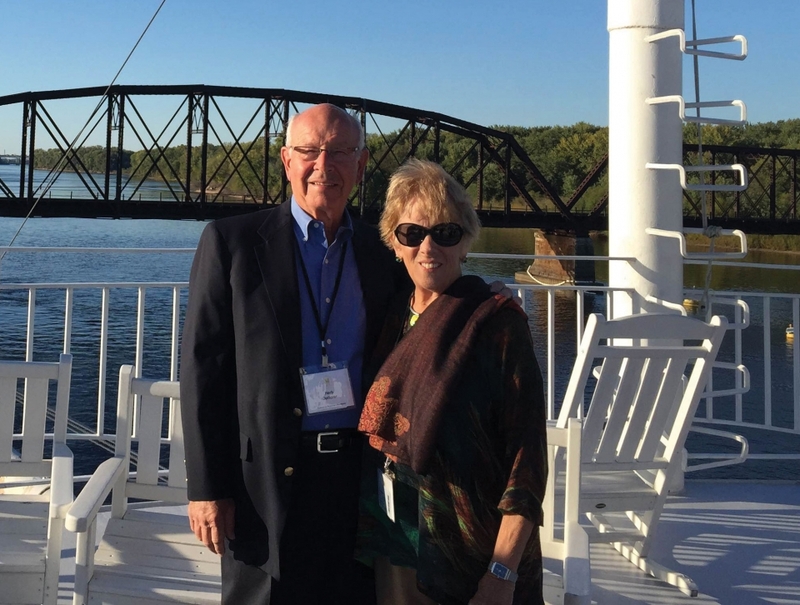 More recently, Ann and Herb joined Principia Lifelong Learners on a Mississippi River cruise. Former Upper School English teacher and Mark Twain scholar Clark Beim-Esche accompanied the group and presented thought-provoking lectures on Twain’s writings and life. Since neither Ann nor Herb attended Principia, Summer Session and PLL travel programs allow them to have their own Principia experience and develop friendships with Principia alumni and friends of the school. To those considering travel with Principia, Ann says, “Being with the Prin group adds that sense of being wrapped in a “panoply of Love” (Science and Health with Key to the Scriptures, p. 571). *This summer, Wilcoxen will lead a hike along West Highland Way in Scotland. Registration closes March 31, with only a few spots still available. This article first appeared in the Winter ’16 Principia Purpose.